It may not surprise you to know that the Inca Trail to Machu Picchu, inarguably one of the world’s most famous hiking trails, has attracted a fair number of illustrious visitors over the years. Nowadays, the list of famous people who hike the Inca Trail is extensive – one need only scroll through celebrities’ Instagram accounts to know the site – and its glorious trail – entice the fabulous mob and us mere mortals alike. Yet it’s the earliest list of famous people who hiked the Inca Trail that is perhaps the most interesting to read about: from old-world explorers to future revolutionaries, and the first painters and poets who immortalised the ethereal atmosphere and magnificent beauty of the Peruvian Andes for posterity. 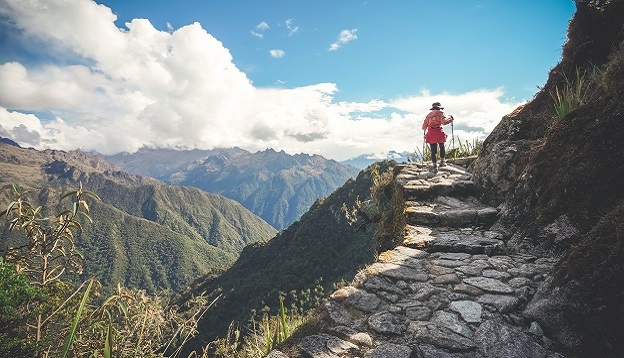 The Inca Trail to Machu Picchu is a spectacular walk in the Andean clouds – stretching for just over 42km following the Classic Inca Trail – it is both a physical challenge and a bucket-list experience combined. The reward, of course, is that startling access to Machu Picchu, the ancient city the mighty Incas held sacred, yet the trail itself constantly threatens to overshadow Latin America’s most famous archaeological site. After all, one can reach Machu Picchu by train today but, if one were to do that, one would miss out on a multi-day immersive experience that’s simply unforgettable. On the Inca Trail to Machu Picchu, you’ll be privy to some of the most jaw-dropping landscapes of all, scenes that will imprint on your memory forever. Hike the Inca Trail to Machu Picchu in Peru and you’ll be following in some rather famous footsteps. 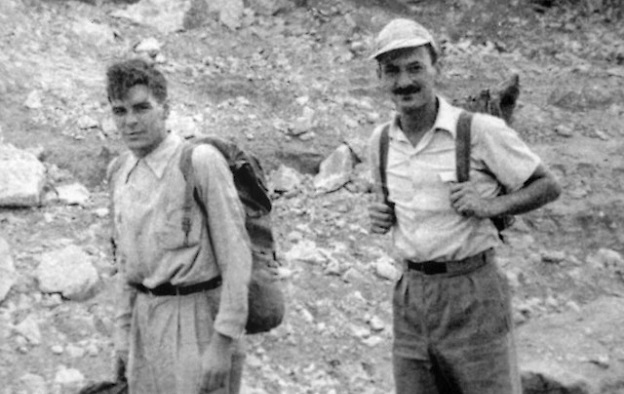 The man accredited with introducing Machu Picchu to the world, American historian Hiram Bingham, wasn’t actually all that famous when he hiked the Inca Trail to Machu Picchu (to be honest, he probably wasn’t aware he was on the trail at the time either) but considering his ‘rediscovery’ of Machu Picchu is what earned his historical fame, he deserves the top spot. Not to be discounted, the fact he tackled that beast twice more after discovering it! Our favourite Chilean poet and Nobel Prize winner was so moved after his Inca Trail hike in 1943, he went on to publish a collection of 12 poems titled The Heights of Machu Picchu (Las Alturas de Machu Picchu), which he included in Canto General, considered one of his greatest works. Neruda is one of the greatest writers of all time and one of Latin America’s most beloved, although his political views didn’t win him any fans with the head honchos of the military regime ruling his country. Read more about this fascinating aspect of Chilean history, right here. On the first year of his now-famous motorcycle trip with his best friend Alberto Granado, Che hiked the Inca Trail to visit Machu Picchu. The experience is said to have left him shaken to the core, leaving such an impression that he resolved to fight for the plight of Latin America’s indigenous communities, there and then. The visit was immortalised in the 2004 film, The Motorcycle Diaries, an evocative film based on his own written memoirs. Ernesto Rafael Guevara de la Serna would go on to become one of the most famous revolutionaries in history and an incredibly influential Latin American icon. 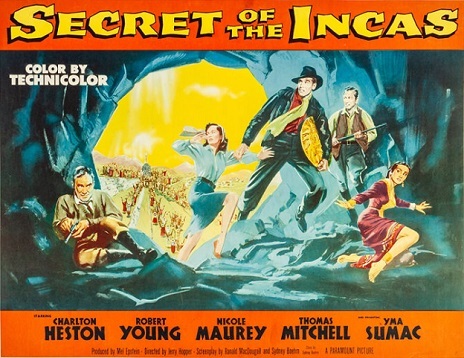 As far as Hollywoodian storylines go, the Secret of the Incas – a Charlton Heston epic about a gold hunter looking to get his hands on some Inca treasures – is a bit old-school. However, this was the first time Hollywood came to town and the film is credited with bringing Machu Picchu and the Inca Trail to the masses. So hey, one should give credit where credit’s due! In more recent years, Hollywood stars have come out in force to enjoy the Inca Trail – actors, singers, producers…you name them and they’ve either hiked it or are (most likely) planning to in 2019. 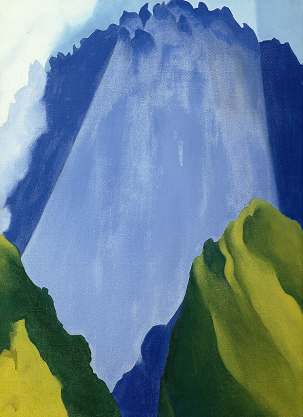 The American artist, dubbed the Mother of American Modernism, waxed lyrical about her experience of the Inca Trail and visit to Machu Picchu. She was 69 years old when she took on the challenge and is said to have been so awestruck by the ‘terrifying’ beauty of the nature that she proceeded it to paint a few now-famous pieces to add to the collection – believed to be the first famous Inca Trail artworks. Revered in her field, O’Keeffe was mostly known for her colourful depictions of flowers and the skyline of her beloved New York, breaking several auction-records during her prime, an impressive feat for a female artist at the time. 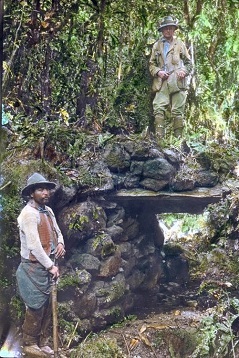 One of the National Geographic Society’s most famous explorers, Johan Reinhard became almost obsessed with the theory that Machu Picchu stands on the most sacred Andean valley of all and his theories on why it was built – considered to be one of the greatest mysteries of all – are expressed in his world-famous book: Machu Picchu – Exploring an Ancient Sacred Centre. Reinhard hiked the Inca Trail several times during the 1980s and is most famous for having discovered several Inca mummies believed to have been sacrificed to the gods. 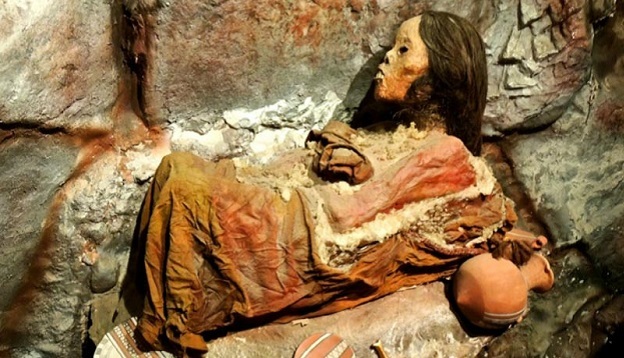 The most notable was Juanita, a young girl believed to have been sacrificed at the age of 14 over 500 years ago, whose discovery the Time Magazine named one of ‘the greatest of all time’. Juanita is loaned to various international museums on a (semi) regular basis although her home-museum is the wonderful Santuarios Andinos in Arequipa (Peru). If you’re travelling to Peru to hike the Inca Trail, it’s really worthwhile visiting Arequipa, even more so if Juanita’s home. She really is an incredible sight to behold. The advent of our wondrous interwebs and social media have made the Inca Trail a household name today, attracting an average of 200 international hikers, every single day. Want to join the famous ranks? Check out our Inca Trail Tours and collection of Peru experiences and contact us today to know more.